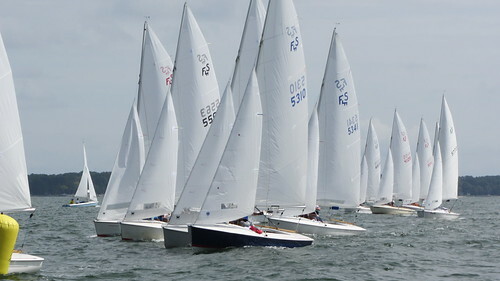 It was a great weekend for the Flying Scot Atlantic Coast Championship held at Fishing Bay Yacht Club for the 35 Flying Scot sailors competing. Congratulations to David Neff and Jason Hair from Selby Bay, MD for winning the regatta and also the Capitol District Championship, being the top district boat as well. Saturday's races were started with wind about 12 kts but dropping to 7 kts later on. 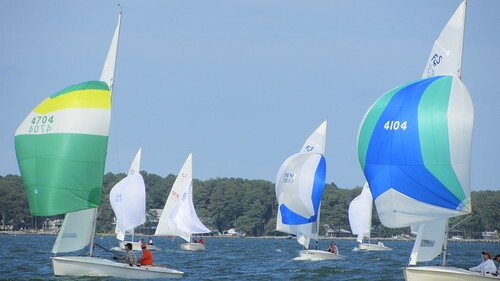 Four races were held on Saturday with the final race in about 14 kts. There were four general recalls (three of them under ZFP) as later in the day there was more current pushing the boats over the line. Saturday evening the sailors were treated to kegs of Legend Beer donated by Ullman, Mad and Quantum Sailmakers. This was followed by a spectacular dinner created by Chef Alain Vincey with crabcakes and steaks attended by 105 sailors and guests. 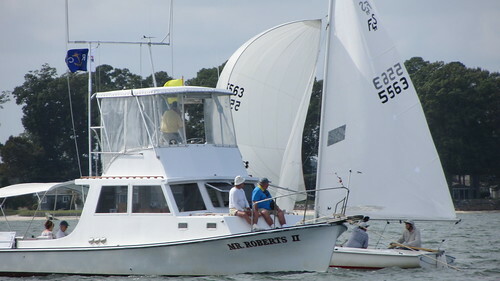 The fifth and final race was held on Sunday morning in about 10 - 12 kts. The regatta could not have been accomplished without our wonderful race committee - many thanks to PRO Rick Klein and his incredible team of RC volunteers. A big thank you to ALL of the FBYC members who helped make this event such a success.